OUTSTANDING WATERFRONT PROPERTY! This amazing spacious home has 3 bedrooms, 2 bathrooms, plus a very nice bonus room/office, and additional study area great for lounging or reading. Oh, did I mention the huge Florida room overlooking the beautiful wildlife on Lake Angela. Space will not be a problem in this large bright home. There is abundant storage and closets through-out. You will also find a gas stove hookup and gas water heater, newer HVAC, and wonderfully designed partial garage conversion creating additional living area in the home. This well designed concept still leaves access to a partial garage that has ample room for tools, a motorcycle, lawn mower etc. Enjoy your very private completely fenced oversized lot (even has large space for RV and boat parking), workshop with power and small shed. Fantastic private water-view and water access even has a floating dock just begging you to grab your fishing pole and catch that big’n. As you admire your wonderful yard you will notice all the attention that has gone into the landscaping. You will find awesome fruit trees including a blood orange tree, muscadine grape vines, pineapple plants, and so much more. Two magnificent oak trees in your front yard welcome you when you come home to your own piece of paradise. 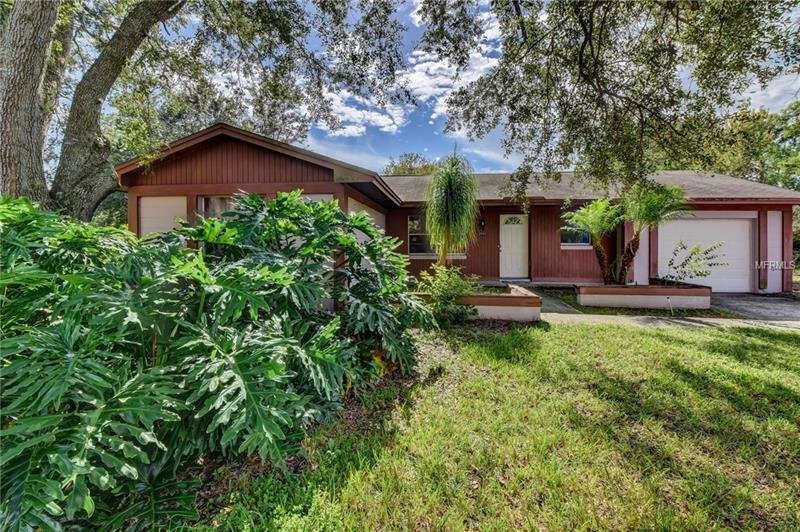 You can find this outstanding home centrally located with easy access to Deltona shopping, I-4 and the beaches. Grab that fishing pole or a cup of coffee and feel the stress melt away!